AIM Composites provides comprehensive end-to-end engineering solutions offering a “design to build” or a “build to print” service. With our attention to detail focused on the front end of the manufacturing lifecycle, customer deliverables are established from the beginning of a project, with quality and efficient design, ensuring transition of requirements are communicated to all relevant stakeholders. Commercially and technically experienced, AIM Composites offers a build-to-print service for the manufacture of structural and interior composite mouldings and fabricated components to the Aerospace, Rail, Automotive, Military and Marine industries. With 1000’s of our manufactured composite components travelling the world with renowned global brands, projects may span years, with hundreds of build components (ship-set projects), or they may focus on volume production of a single component, or support a customer’s bespoke one-off requirements, for new build or refurbishment projects. At the start of the consultation process a dedicated Prince 2 trained Project Manager is assigned, responsible for communication with all project stakeholders and drawing on internal engineering and production resources to support customers’ individual requirements. Regardless of the simplicity or complexity of the project, we apply the same attention to detail, customer focus and quality, throughout the project lifecycle. Supporting manufacturing services are offered, from our tool shop for mould design and manufacture, 5 and 3 Axis machining capability, assembly for final build, through to our paint services or application of decorative laminate or chameleon finish. Robust, accurate, and quality mould tooling is at the foundation of any manufacturing process, when working with composite materials. Ensuring the end product or component achieves repeatable high standards throughout the lifecycle of the mould or tool, is paramount, to achieve the best return on investment and project deliverables. AIM Composites has the expertise and capability for the design and development of accurate moulds and tooling for both low and high volume composite production. The entire project lifecycle, from design to release, is fully supported, technically and commercially, by a dedicated project manager. Manufactured in-house using carbon fibre, glass fibre pre-preg or wet laminated processes, mould tools can be designed and manufactured to support in-house production of composite components, or provided to customers’ exacting requirements for delivery as an end product. Each step of the process is supported by our continued investment in the latest industry-leading design software, manufacturing hardware and personnel – ensuring the end product meets our customer specifications, while conforming to the highest standards of quality. AIM Composites understands that reduction in projects costs and improving efficiency through the composite manufacturing process is crucial. CNC machining, a vital part of this process, provides these beneficial capabilities by delivering accurate, repeatable results to the machining of complex 3D components (5-Axis) or flat panels (3-Axis). With substantial investment in our CNC capability, we offer a state of the art CNC service for the manufacture of high and low volume production projects or support for bespoke composite requirements. Our dedicated CAD/CAM department, incorporating CNC Programmers and Engineers, is skilled in the evaluation of customers’ engineering data, prior to the design and development of each personalised CNC program. The program development process is supported by industry-leading software, primarily Mastercam, also utilising Alphacam for legacy programs. CNC program validation is proved through VERICUT, digitally simulating the CNC program sequence, identifying any essential adjustments or highlighting areas of inefficiency, therefore minimising the risk of errors, before the program is released to production. Once released to production, pre-machining MSP probing is applied by our highly experienced CNC machine engineers. NC-PartLocator confirms component alignment and reduces set-up times. NC-Checker provides machine benchmarks and capability, NC-Macro guarantees probe accuracy and calibrates the probe across each of the 5-axes; post-machining verification or inspection can also be applied. 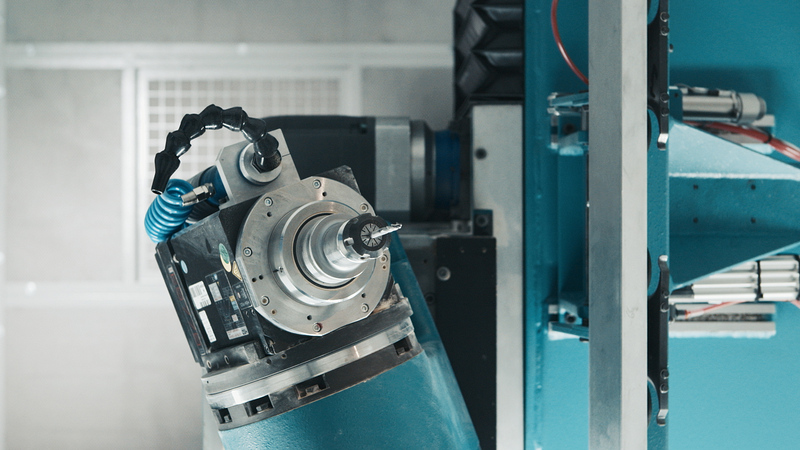 Each step of CNC process is repeatedly reviewed throughout the manufacturing lifecycle, maximising productivity and providing an end product manufactured within tolerance of a customer’s engineering requirements, achieving on-time delivery. State of the art 5-axis CNC machining centre with dual loading shuttle beds for loading time reduction (can be used as one large single bed) and small-form spindle for machining of intricate areas. Flat panel 3-axis specialist for accurate machining of flat board nests. Large vacuum table. 14 place carousel and 12 place drill block. Optional C-axis using aggregate spindle.